Readers of this blog might like to know that I have an article in this month’s edition, on sale in WH Smiths from July 25th or available from the Stitch Magazine website. Don’t be misled by the title though, as the only steamy thing in it is the weather! In the article I look at how my work has been heavily influenced by the countryside surrounding a small medieval town in central Spain near Burgos, called Covarrubias. It includes starting points, drawings, and finished pieces. I always use my holidays as a time when I can think, draw and plan without pressure, and being married to a painter helps, we like doing the same things, though the results are never the same! We’ll be back in Covarrubias in only two weeks time. 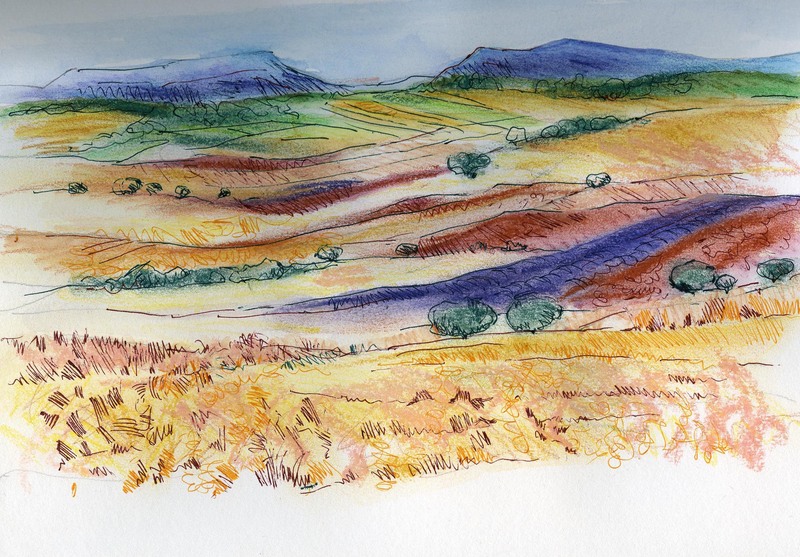 The light, the varied terrain, the colours, the shapes are so different to the things I draw in the UK. I love the calm, soft quality of the South Downs with colours of blue, green, lilac and yellow and find central Spain’s strong light, golden wheat, terracotta earth and distant blue toned mountains are an amazing and equally inspiring contrast. So in geological terms I suppose it is new hills versus the older ones! I’ve posted a couple of contrasting images for you, a drawing from Amberley in West Sussex and one from the sierra. 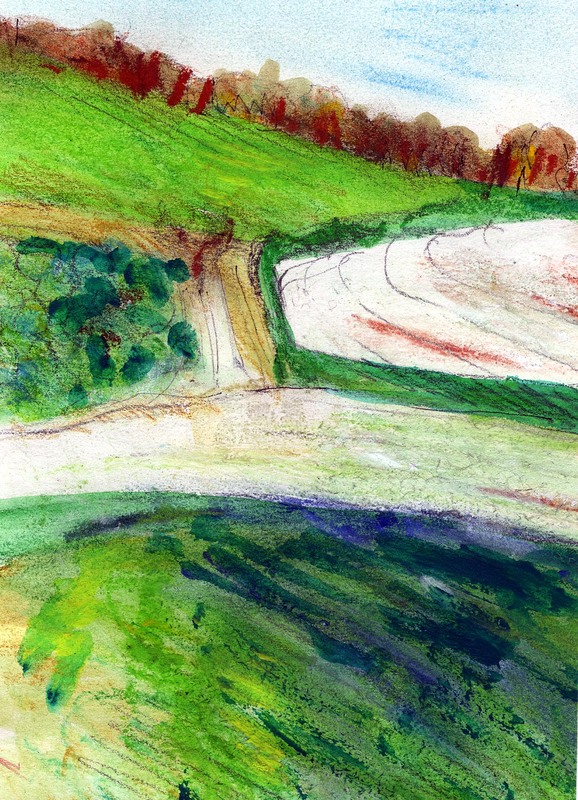 The white chalk of the downs contrasts starkly with the iron red Spanish earth.